Spring Sale Going On Now! 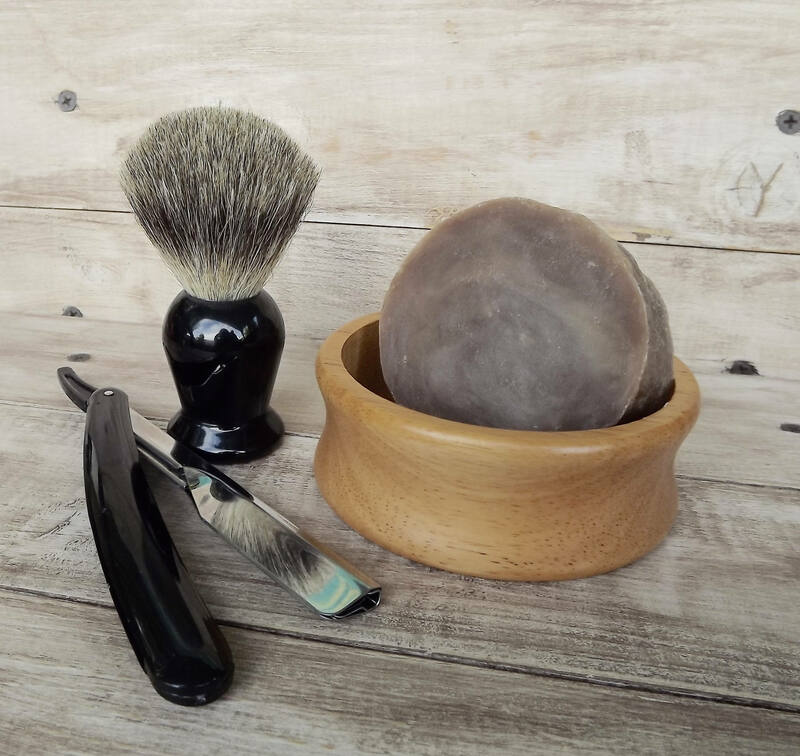 Check out the Walnut Body Polish Set! Are you manly enough for Smoke Stout? A mix of smokey mahogany with fire & cedar wood. Made with a dark rich stout. This scent is our best seller in soap & wax melts! Bentonite clay adds slip so this works great as a shaving soap. Light fluffy bubbles to clean your manly self without drying your skin. **Follow up with our Alpha Hydroxy After Shave Lotion with organic botanicals to calm shaving "sting". Women love this soap too! Olive oil, coconut oil, beer, water, palm oil, sodium hydroxide, rapeseed oil, fragrance, bentonite clay. Payment is due at the time of the order. At this time, I accept credit/debit cards, ETSY gift cards, or Paypal at check out. I do charge 7.5% sales tax for orders shipped within California. Items will be shipped with in 1-3 business days via USPS First Class Mail, USPS Flat Rate Priority Mail or Regular Priority Mail 1-3 day depending on the quantity and weight of items in the purchase. Shipping overages in excess of $2 will be refunded. I will do my best to insure safe packing of items. Any lost or damaged packages must be declared to USPS or Shipsurance whoever insured the parcel. USPS provides all tracking. The Soap Brewhouse is not responsible for lost, or stolen packages through the USPS. Flat Rate Priority has insurance included and Regular Priority Mail has insurance through Shipsurance. Once I make sure the package is in the hands of the postal service, It's out of my control. I reuse packaging materials when possible. I do use packing peanuts, bubble wrap & compressed,recycled denim when necessary. I do not purchase those materials; they are being reused from my supply orders. Please reuse them! Customer service is my priority. The Soap Brewhouse does not accept returns on our personal care products. This doesn't mean I won't help resolve your concerns, I just don't want your used bar of soap! If for any reason you are not satisfied with a product, let me know so we can come to a resolution. Resolutions could be a refund, partial refund, shipping of a replacement item, a discount, a credit. All situations are considered on a case by case basis depending on the item(s) in question. Exceptions would be, specifically the Closeout Sale Soaps. Those soaps are sold as-is and already explained in the listing as such. *If you are interested in a custom order of soaps for your special occasion: I will thoroughly discuss your needs, wants, & desires; discuss the necessary logistics and turn-around time involved then create the custom listing for you to secure the manufacturing of the item to your specifications. Once your custom items(s) have been made, even prior to shipping, if you change your mind, I cannot refund your custom order. A happy customer is a return customer. If you have known skin sensitivities or allergies, please pay close attention to the ingredient list before purchasing. Tree Nut products are used in some of my products. Using a patch test is recommended when using a new personal care product. My soaps are intended for external use only and should be kept away from small children or pets that could mistake them as a treat to be consumed. Discontinue product if rash/reaction occurs. Keep out of eyes. PLEASE STORE YOUR UNUSED SOAPS IN A DRY LOCATION. TO ENSURE A LONG-LASTING SOAP, PLEASE KEEP SOAP IN A WELL-DRAINING SOAP DISH. DO NO ALLOW TO SIT IN WATER. Please note that I make all of my soaps in small batches and I hand cut each bar, so the size, shape, color,pattern, and scent may vary slightly from batch to batch. Weights are approximate, within about half of an ounce. The weight of soap can change slightly as it cures (hardens). ALWAYS attend to your wax melt pot. Keep away from children & pets. Hot wax is just that, hot wax and could possibly burn skin. Use responsibly and enjoy. Beer is awesome! The addition of beer to soaps adds dense, consistent lather & bubbles. NO! YOU WON'T SMELL LIKE BEER....PROMISE! Are Your Soaps for Face, Body, Shaving or What? Frankly, I use all my soaps for face, body & hands, except hair. 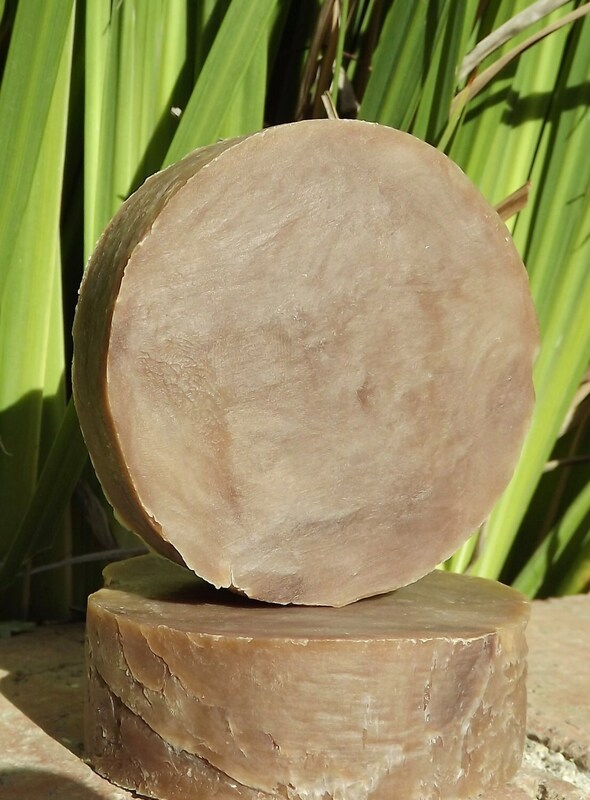 The shaving soaps (round soaps) have an extra ingredient to add slip (glide) but are also great as a body soap too! Are Your Soaps Just For Men? ABSOLUTELY NOT! Soap Brewhouse has a large fan-base of women who love how our soaps feel on their skin. Great, natural ingredients including coconut oil & coconut milk to nourish and smell wonderful. Personally, I love the tropical scents! Are Your Soaps Vegan & Cruelty Free? Well...mostly. some of our soaps have honey. Other than that, the Soap Brewhouse provides a complete ingredient list for each product. We use all plant-based ingredients in our basic recipes. Our palm & coconut oil is responsibly sourced. Our micas are carmine free. ROUND SOAPS: Approximately 3.3 ounces & 2.75"round. RECTANGULAR SOAPS: Approximately 3.25" x 2.75". 4.3 to 5.5oz depending on embeds added and other ingredients that add weight such as ground oats & seeds. *All soaps are cut 1" thick. **Activated Charcoal & Original Bath Bar are 2.25" x 2.75" x .75" These are our super premium facial soaps! Received the soaps today in record time! They were packaged very nicely and the aromatic smell of clean fresh soaps waifed out of the box, knowing right away quality ingredients were used. 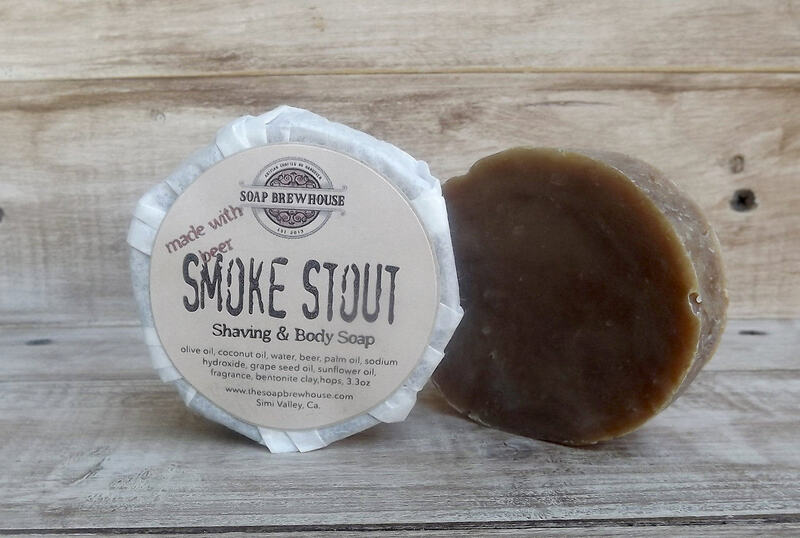 I'm trying out the Smoke Stout this week both in the shower and with a shave brush. The others will be used by family members and employees. An overall excellent value with quality as the #1 stand out attribute. - Thank you! Excellent product, wonderful smell! My fiancee loves it, and we'll order again when he's out! Smells great! Fast shipping! Thanks sooooo much! BEER And Shaving MIXED!!! WHAT SI THIS????!!! Love the scent can't wait to give them a try! Maybe I'll lather up in a beer mug!